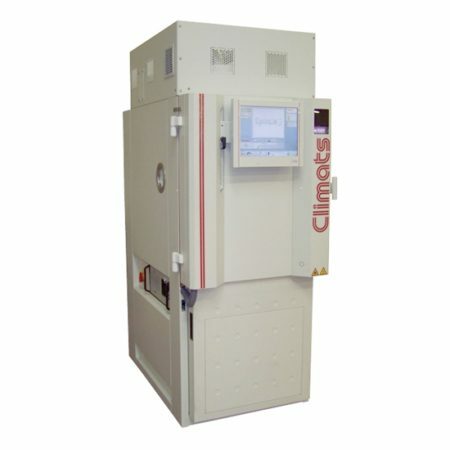 Modular panels structure enabling to function up to +80°C (max). 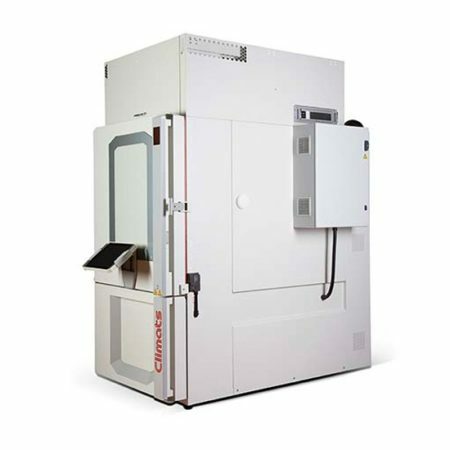 These machines, realized upon specifications, are equipped with test volumes especially dedicated to large size samples. Tests volumes are optimized according to the geometry, the nature, the mass and the dissipation of the product to be tested. 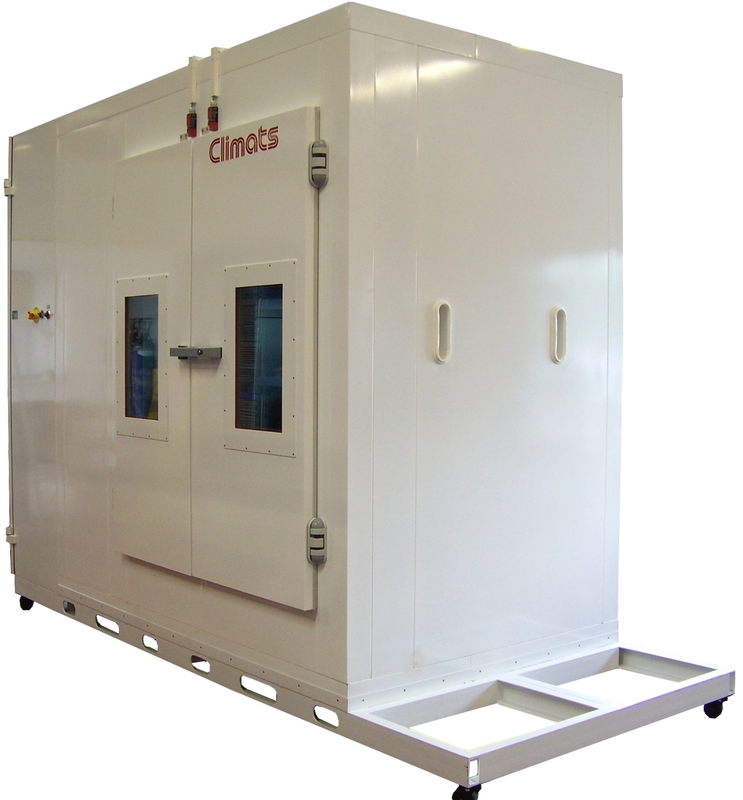 Pre-assembled in our factory, we reconstruct the structure of this environmental chamber on the costumer site. 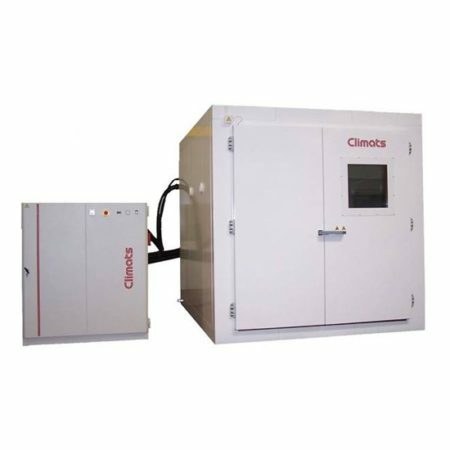 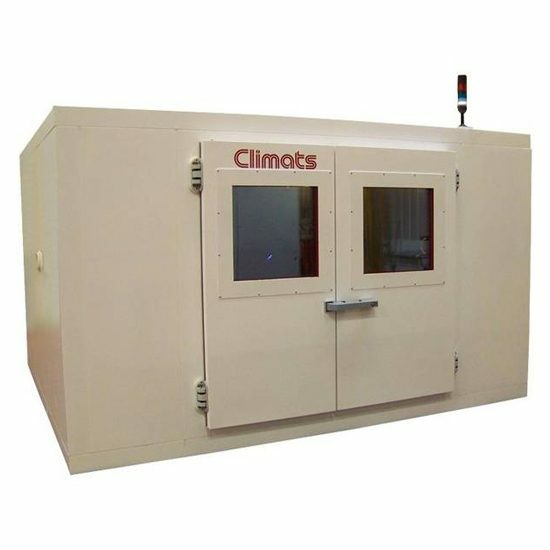 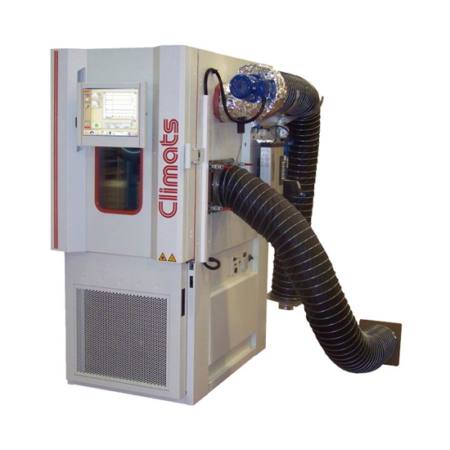 The flexibility of the manufacturing process enables to build one-piece environmental chambers or chambers equipped with remote machinery in the middle of your premises without worrying about accessibility of the test area. 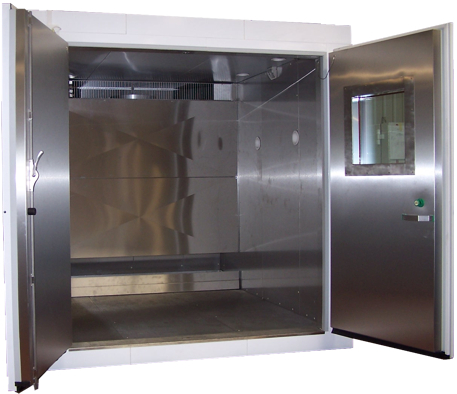 The adaptability of our chambers enables you to satisfy your space requirements without questioning your present layout (door passage, workshop dismantling, for example).